Nelson Mandela was well-known as the first black president of South Africa. He was also known as the one who fought so hard for the anti-apartheid nonviolence. He was the global symbol of peace and prominent for all his efforts in peacemaking. The philanthropist became an important figure in world peace and humanity efforts. This was why he was awarded with Nobel Prize for Peace back in 1993. 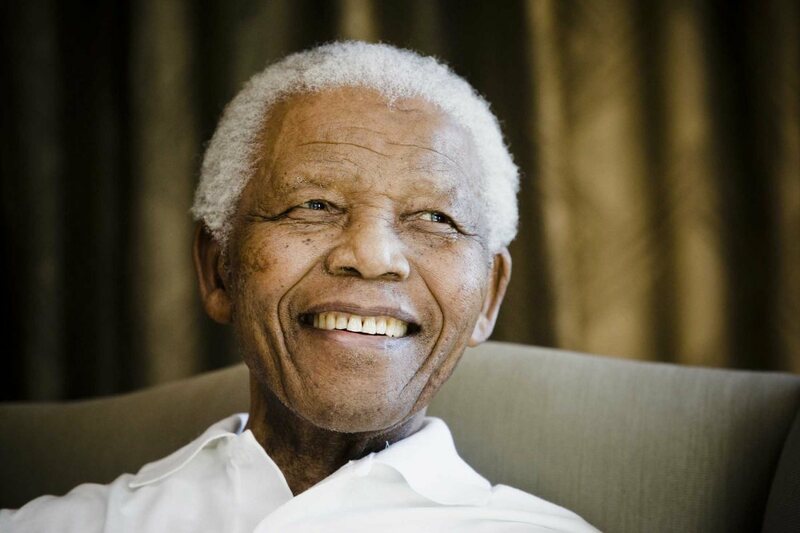 Here is the biography of President Mandela. Mandela, often nicknamed Madiba, was civil right activist, politician, and writer. He was prominent for his effort in abolishing apartheid system in South Africa. He had become an inspiration for numerous people around the world to defend for civil rights. Even though he had been imprisoned for political reasons, Madiba successfully became the first black person to be the President of South Africa. Even after becoming a president, he still fought for human rights and world peace, earning him a Nobel Price eventually. Nelson Mandela was born on July 18th 1918 in Mvezo, South Africa. His middle name was “Rolihlahla”, which means “troublemaker” in Xhosa language. Even since his early childhood, Mandela was a bright, bubbly child who showed numerous signs of intelligence and compassions. The politician was always thriving at school. He was easily excelled during elementary through high school. He enrolled at the University College of Fort Hare in 1939 and graduated from there with Bachelor’s Degree in law. The political career of Mandela started in 1942 when he was actively joining anti-apartheid movement. He joined a group named African National Congress Youth League who defended human rights and civil rights. Becoming too active in politics against the apartheid government, Madiba was imprisoned, to keep him away from politic supposedly. However, even though he was in prison from November 1962 until February 1990, he kept influencing many people to stand for civil rights. Nelson Mandela was well known for his numerous marriages as well. He was married three times. His first wife, Evelyn Mase, whom he married in 1944, gave him four children. They divorced in 1957. He married his second wife, Winnie Madikizela in 1958. She gave him two daughters. The marriage ended in 1996. His last marriage was to Graca Machel in 1998. This marriage lasted until the day he died in 2013. Because of his recurrent lung infection, The South African politician and former president died in his home in Johannesburg, South Africa, on December 5th 2013. He was 95 years old. His death was mourned by everyone around the world. His peace legacy lives on to this day. Numerous movies about him are made from time to time, including Invictus (2009) where he was played by Morgan Freeman. It is very hard for anyone to attempt making the world a better place by establishing peace all around the world. However, for President Mandela, he had been successfully introduced peace to many nations around the globe. This is why Nelson Mandela will always be well-remembered. Ok guys, that’s all!